I had a little time to craft tonight and decided to try out the new Art Anthology Sprays that we recently brought into the store and this is what I came up with! Below is a step-by-step guide to how I created my tag. Be sure to read until the end of today's post for some exciting news!! I started by grabbing a #8 manila tag and misted the tag with Timeless Art Anthology Spray and then I added just a hint of Guacamole. Haven't never used these sprays before, I wasn't sure about the coverage or how they would react with water. I found that they have a light, translucent, soft color and you can get full coverage by misting the colorant with water, which makes the spray very fluid. I added a hint of water to my tag before drying with a heat tool. I'm a fan of splatters so I wanted to leave some of those visible. Next, I decided to see how the inks would react with water...you know all about how the Distress products react, right? Well these behaved the same way! Check out the great splats and drips I was able to achieve by adding misted water after the colorant was dry. LOVE it! After the colorant was completely dry, I grabbed the Burlap Layering Stencil, my all time fav Wendy Vecchi stencil, Classic Words, Scattered Straw and Wild Honey Distress Inks and decorated the background of the tag. Once that was done I started searching for the right image and I ended up grabbing one of the new Donna Downey faces from Unity (this is the She is an Artist). I wanted to see how much of that giant image I could fit onto a tag...these are some seriously big stamps....they ROCK! And here's the result after I stamped the image...SWOON! I inked the stamp with Jet Black Archival Ink and then pressed the tag onto the stamp vs. flipping the stamp over and applying it to the tag. This gave me more control over what part of the image ended up on the tag. After I heat set the ink, I added some color to my artist's face by scribbling with Gelatos (I used Gelatos from the Neutrals, 50's Diner, and Green sets) and using my finger to blend the colors. This allowed me to make her face stand out from the yellow background (and not be so yellow! ), add some color to her cheeks, eyes, hair, and lips, and to add shading under her chin. I also used a white pencil to trace the word 'artist' in her hair, so it would stand out, along with coloring in the whites of her eyes. My last step was to add the words 'create art' from the Journal Words stamp set from Catherine Scanlon. Interested in learning more about Art Anthology Colorant Sprays? 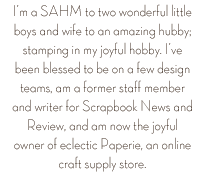 Join the owner and producer of Art Anthology products THIS Friday at eclectic Paperie's new studio in Exeter, NH. Stayce DeWid will be visiting the studio on Friday, November 22 to host two technique-laden classes! 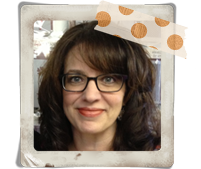 Class size is limited so register today! Click here for full details! Labels: art anthology, distress inks, eP post, gelatos, layering stencils, studio 490, unity stamp co. Welcome to day 6 of our September feature Blog Hops! 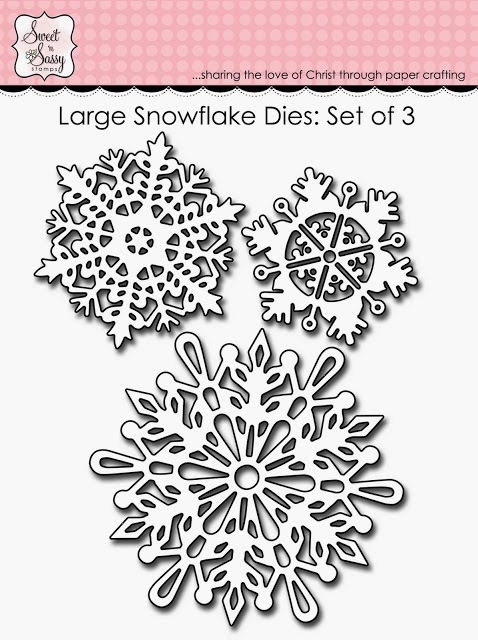 Today we're featuring the fabulous Small Snowflake Dies and Large Snowflake dies. 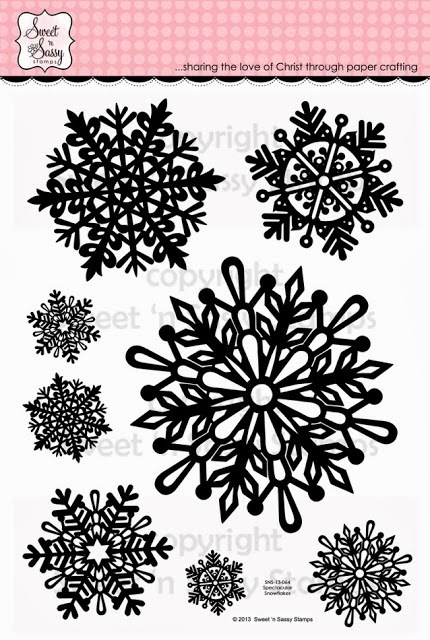 Why yes, my snowflakes are pink with stripes and I love them! It's seriously fun to use an unexpected color and to include text. It makes me happy! Check out the full die sets below, along with links to the design team creations! 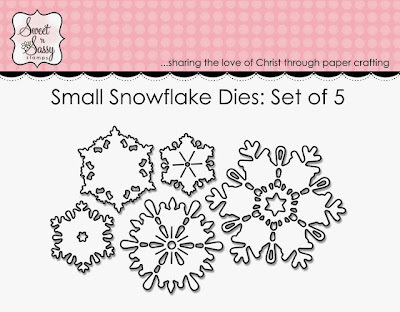 The dies range from approximately 1" x 2 1/4"
The dies range from approximately 2 1/2" x 4 1/4"
Be sure to leave a comment of each of the blogs along your journey because we're giving away (6) $15 store credits (1 winner will be chosen from each of the 6 blog hops). The deadline to comment for a chance to win is midnight EST Friday, November 15th. The list of winners will be announced on our website homepage by Monday, November 18th. Welcome to day 5 of our November feature Blog Hops! 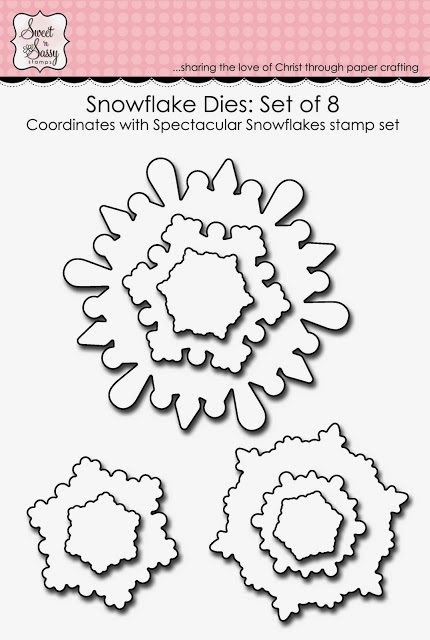 Today we're featuring Korin's amazing new Spectacular Snowflakes stamp set and coordinating Snowflake Dies. So excited about today's featured stamp and die sets! 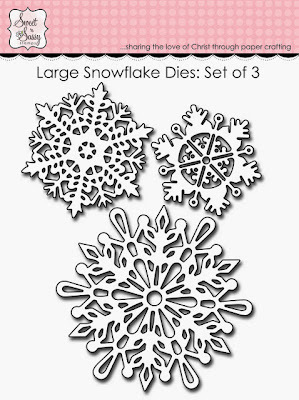 Snowflakes are just perfect for winter cards and projects but mix them up with coordinating dies and I'm fainting...so much for fussy cutting! Yippee! I went rustic with today's card, getting my kraft on, and used an embossing folder, twine, buttons, and a whole lotta red, blue, and cream (hey, I'm patriotic too!). 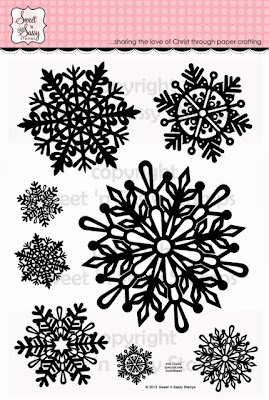 I then added just a hint of glitter to each snowflake because even though I might be going rustic, I still can't live without a little glam! Check out the full sets below, along with links to the rest of the design team's projects! Enjoy! 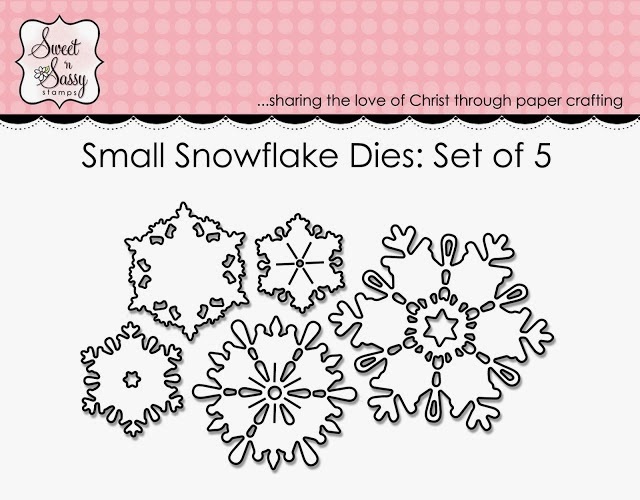 The snowflakes range from approximately 1" x 4 1/2"